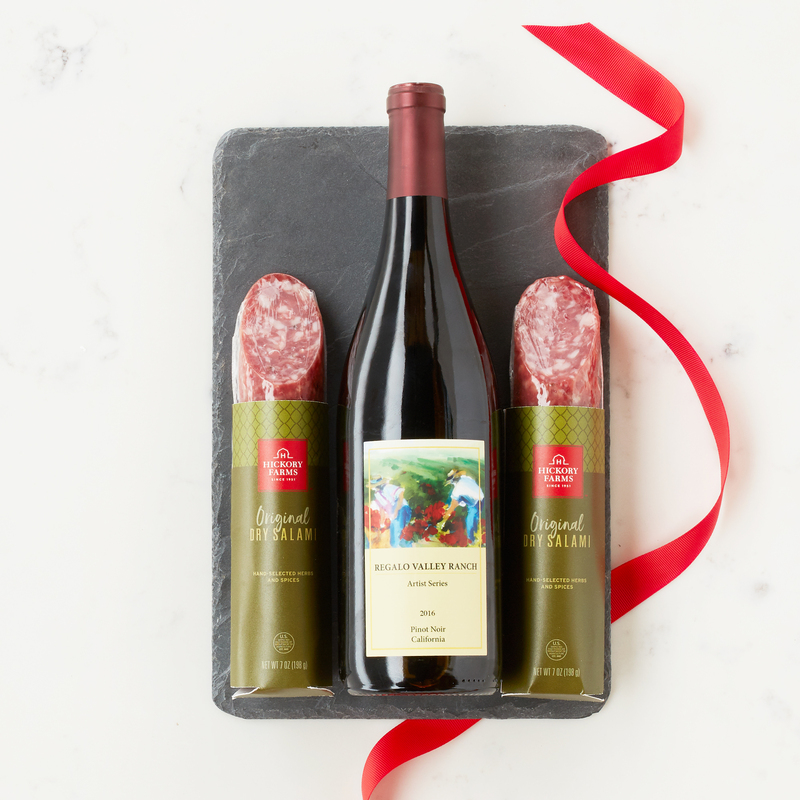 Made with select cuts of pork and traditional Italian spices, our Dry Salami is expertly paired with Regalo Valley Pinot Noir in this exclusive set. Perfect as a gift or for entertaining, this delectable pairing is perfect for fine food connoisseurs or those who delight in coupling wine with rich, savory flavors. Plus, it comes with a slate cheese board for effortlessly stylish serving.